Bill Paxton’s Death: What Happened...and Are You at Risk? Home » General Health » Bill Paxton’s Death: What Happened…and Are You at Risk? Bill Paxton’s Death: What Happened…and Are You at Risk? When Jennifer Aniston stepped on stage at the Oscars and delivered an emotional tribute to Bill Paxton, she could barely keep back the tears. 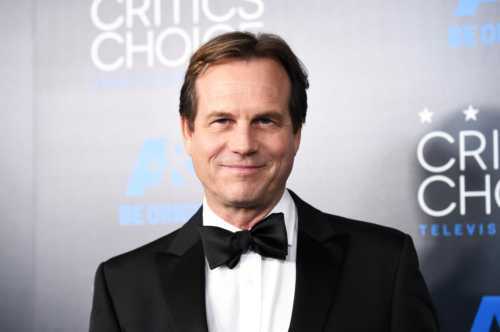 Bill Paxton, 61, who passed away the day before the awards ceremony, was a well-known Hollywood veteran whose versatile career lasted five decades. He died of a stroke following heart surgery. Bill Paxton: What Went Wrong? Surgeries of any kind—and especially those on the heart—come with inherent risks and can be quite dangerous. Paxton, like anyone who’s undergone surgery, was reportedly quite nervous leading up to the procedure, but there’s no way he or his family could have predicted this outcome. What’s even worse is that Bill Paxton’s death may have been preventable; I remember a 2008 study reporting that approximately one-third of in-hospital coronary artery bypass graft deaths are avoidable. And although I don’t know when Paxton underwent surgery and what specifically it was for, I do know that death is a legitimate risk for those trying to recover. Paxton did not appear to be a person who was at high risk for heart complications. That said, looks can be deceiving. People who are slender, like Paxton was, typically don’t draw the attention of doctors and other concerned parties when it comes to heart health. And if you’re someone who’s in decent shape, it’s not something you should take for granted, either. The best way to limit your chances of undergoing heart surgery is to take preventative measures to protect your heart. Of course, there will always be genetic conditions that influence risk, but eating a healthy, balanced diet, getting adequate exercise, limiting alcohol, and not smoking can all remarkably improve your chances of maintaining a healthy heart. What’s even better is that these measures can have an impact relatively quickly. For example, eating a diet that’s low in processed and refined foods can improve your cholesterol profile and HDL/LDL ratio. Increased HDL in your bloodstream—as a result of consuming healthy fats like those found in fish, nuts, avocado, olive oil, and omega-3 supplements—can lower blood pressure by clearing out arterial plaque that stymies blood flow. Regular exercise can lead to an overall drop in blood pressure and improved cardiovascular efficiency. In the long term, exercising and spending more time on your feet can extend life, improve health, and significantly reduce the risk of cardiovascular troubles. Of course, there are no guarantees that you can avoid heart issues or heart surgery. And, depending on your current fitness level, you may need to see a doctor before beginning any type of fitness routine. But by starting out small and making better decisions with regards to what you eat and how you spend your time, you may improve your heart health and lower the risk of a future surgery. Campbell, K., “Bill Paxton Was Nervous About Heart Surgery That Led to His Death, Director Doug Liman Says,” Us Weekly, February 26, 2017; http://www.usmagazine.com/celebrity-news/news/bill-paxton-was-nervous-about-surgery-before-death-doug-liman-says-w468966, last accessed February 27, 2017. Guru, V., “Relationship Between Preventability of Death After Coronary Artery Bypass Graft Surgery and All-Cause Risk-Adjusted Mortality Rates,” Circulation; https://doi.org/10.1161/CIRCULATIONAHA.107.722249. 2008;117:2969-2976. Originally published June 9, 2008. “HDL Cholesterol: The Good Cholesterol,” WebMD; http://www.webmd.com/cholesterol-management/guide/hdl-cholesterol-the-good-cholesterol#1, last accessed February 27, 2017. “Exercise: A drug-free approach to lowering high blood pressure,” Mayo Clinic, August 6, 2015; http://www.mayoclinic.org/diseases-conditions/high-blood-pressure/in-depth/high-blood-pressure/art-20045206, last accessed February 27, 2017.